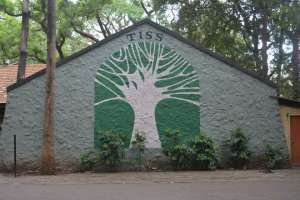 Got shortlisted for the next round of selection process at TISS Mumbai? This chat is for you! This chat aims to address queries regarding PIT/PI regarding HRM & LR. Join now! Hi, can you guys provide any of yours biographical sketch(can change details for privacy). Where can I find the research papers of current professors. Go through TISS Website. or you may google. What if we are not clear on why HR question? Can we expect wat and gd topic to be same? How much time is given for wat and gd? Till last year topic was same. Timing will be communicated to you during the process. what is trend of GD topics? More HR related, Social issues, current affairs? this has been answered above, please check! Do we need to bring our original certificates along for the PIT/PI process? No. Original certificates aren't required. in assessing pit what are the parameters u mainly look for? https://insideiim.com/candidates-value-driven-authentic-prof-sasmita-palo-tiss-mumbai/ Please see this article. It has been written by one our Professors. Hi,its written that we should write only in capital letter in DAF,it applies for BioSketch and why you want to pursue this course ? In the instructions it is written we have to carry abstract of application. What does that mean ? What should give you an upper hand during GD? Is it okay to be creative with your DAF? Should it be very objective? In the part where we have to mention how we plan to finance the course what amount should we consider ? its around 2.8 lacs for the course with hostel would that suffice? Strike a balance between creativity and objectivity. That will make your DAF interesting. Is it a plus, having done social work? Can you resend the question again? It has already been answered. You have to mention the source of your finances i.e. education loan, your own savings etc. What I mean is the amount will be 2.8 lacs right ? what is meant by abstract o application & relevant work ex? You have to carry application abstract. It is a consolidated document that you must have received stating your score and course preference. O ok the score as well right ? Thank you guys. It was a pleasure interacting with you all. We hope to see you on campus during PIT/PI. Prepare well, All the best!